Priority Convention priority can be claimed. ﻿﻿Renewal Renewal fees are payable every 10 years from the filing date of an application. The registration date and filing date are one and the same date. Non-use of a mark for a period of 5 years from the registration renders it open to an action for cancellation by third parties. Cancellation can only be done via the Court. Priority Convention priority may be claimed. Duration 20 years from the filing date, subject to the payment of renewal fees. Annuities The first two annuity fees are included in the filing fee, such that separate annuities only become payable on the 2nd and each subsequent anniversary thereof. However, annuities may be paid up to the end of the month containing the relevant anniversary. We are not aware of any means of obtaining design protection in Andorra at this time. 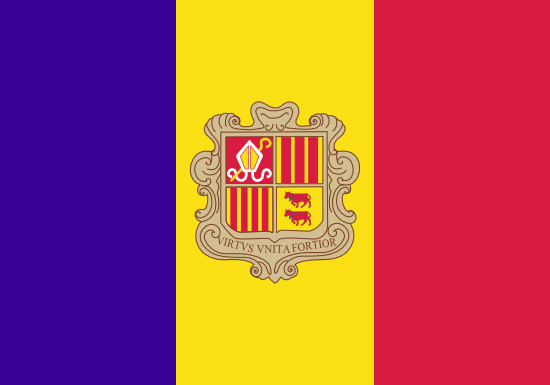 It is finally possible to file national patent applications in Andorra, with effect from 25th January 2016. The new law, which was dated 30th October 2014, and the Implementing Regulations, which were dated 22nd July 2015, seek compliance with the Paris Convention (to which Andorra is already a signatory) and the TRIPS Agreement.